If you live in or around Palmetto Bay, there is an exciting development brewing. Village Manager Ron Williams, along with the Village Council, have formed a Downtown Redevelopment Task Force, charged with bringing more business tax revenue to the Village. 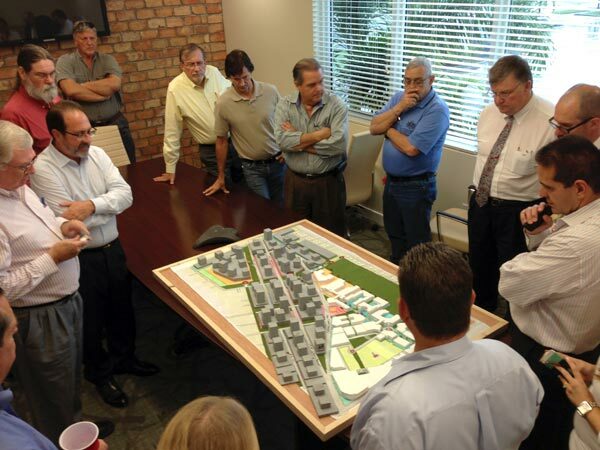 The working vision statement is: "To create a vibrant and inviting live-work-play downtown community for Palmetto Bay." Beyond taxes, a downtown Palmetto Bay would bring commerce and entertainment to an area that needs such stimulus. As part of this task force, comprised of Palmetto Bay residents, business owners and community leaders, I will be reporting progress on a regular basis. In this photo, you can see white and grey building representations. The white buildings are part of phase 1 and 2. 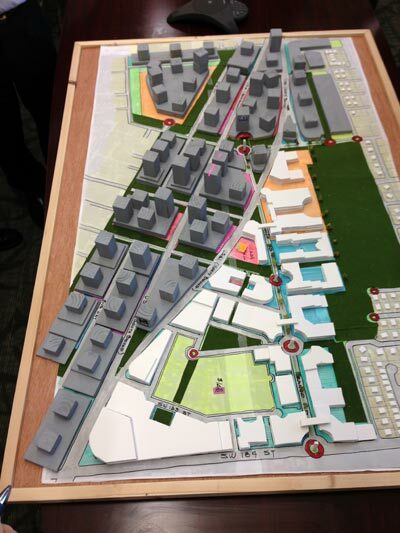 Grey would be later and have zoning allowing higher structures. The idea is that no resident would feel like a commercial building was infringing in their property. One interesting statistic overheard at the July 17 meeting: SW 184th Street is the longest East-West roadway in Dade County besides the Tamiami Trail. It also is the center of Miami-Dade County. This unique geographic location makes the downtown much more exciting and viable.